What does Cobratis do for your company and your invoices? We manage the recovery of your defaults throughout the European territory, both as if they are derived from low-value debts and high amounts. We process the collection of unpaid debts in whole or in part. It has several rates depending on the number of unpaid debts accumulated in your company. Cobratis is the first and only Internet unpaid management company that allows professionals, property communities, SMEs, large companies and owners’ communities to claim, at a minimum cost, by friendly and judicial means, those debts pending collection. Cobratis is an effective collection management solution conceived by law and recovery professionals with more than 15 years of experience in the debt collection sector. A satisfied customer is a recurring customer, we are convinced of it, that is why our team, composed exclusively of qualified professionals, will use all available means to collect your debt in the shortest possible time and guarantee your total satisfaction. Comfortable: All procedures from a computer, mobile or tablet at any time of the day. Easy: Oriented to all types of users. 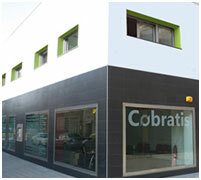 Whether it is private or if it is a company, Cobratis provides coverage for the collection of unpaid bills or debts. Payment in your account: Cobratis, in due compliance with the regulations on intermediation and collection management, does not retain assets of its customers. The debtor will make the payment of 100% of the debt directly in the bank account designated by the client for such purposes. Fast: The debtor, at the request of the judge, has 20 days to pay. Cheap: Single payment for debt to process, without fees or commissions in case of debt collection. See rates.